Galil Motion Control is the leading supplier of high-performance, cost-effective and easy-to-use controllers with over 500,000 controllers installed world-wide. Galil's complete line of Motion Controllers includes single and multi-axis; bus-based and stand-alone; and box-level and card-level controllers. The Accelera Series offers the highest speed and performance while the Econo Series is designed for the lowest cost. 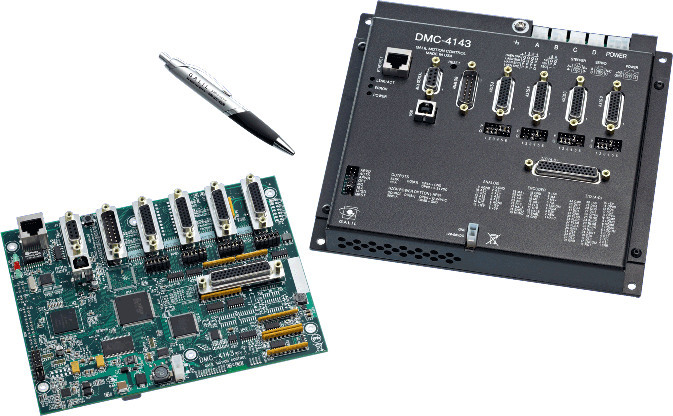 Galil's Single-Axis controller series offers cost-effective, compact solutions for single-axis applications. Galil also offers many software tools for use with your controller such as communication utilities, servo tuning, and programming API for interface to C/C++, Visual Basic, LabVIEW or other programming environments.